The Lancet Psychiatry published a comment piece in February arguing that in a ‘post-truth era’ mental health research funders should adopt a more ‘empirical’ approach to their work [requires registration]. Although with an American slant we found it stimulated our thinking as we await both the Medical Research Council and the Department of Health’s mental health research strategies, which are likely to shape the agenda on this side of the Atlantic for years to come. We at McPin would agree with many of the questions the authors identified. Are research funders clear and transparent about what real world change they ultimately want to achieve through the funding decisions they make? Not always. Do they follow up to understand if they were successful and learn lessons? Rarely. Is research funding being concentrated in a few institutions, restricting the pathway for the next generation of researchers and ideas? Yes – as our recent briefing on research in mental health services in the NHS shows [link to hot off the press piece once published]. But the voice of the people affected by mental health problems appeared to be completely silent in this ‘empirical’ system for funding research. We thought that this is a missed opportunity. At its heart policy making is about choices and values. Research funders decide on behalf of the public which research questions they want to try to answer. These decisions need to be based on the evidence. What impact do certain problems have? Where are the next breakthroughs or improvements most likely to come from? What methods have been successful before? Where do we need to try new ones? There is a wider debate about what constitutes ‘good’ evidence. But, even if that were settled, it cannot replace a debate about what we value as a society. At one level research funding decisions reflect those values. Is it more important to look for ways to maximise the length of people’s lives, or to maximise their quality of life? How does one measure such a subjective issue as ‘quality of life’ in a consistent way? These are questions that are constantly negotiated within society. There is no ‘empirical’ answer to them. We believe that these discussions need to have the people affected by mental health problems at their heart. They have a right to have their voices heard, especially in mental health with its long history of research being done to people and not with them. They bring expertise and insight to the debate about the actual experience of mental health problems that it is different, and equally valuable. As importantly if we are to retain the current taxpayer investment in mental health research, let alone build the charitable and philanthropic giving that we desperately need, we must secure and maintain public support. Ignoring their views is not a route to achieve this. We should not blindly follow the crowd either. There must remain space for thinking that challenges orthodoxies and investment in research into unpopular causes. After all for many years mental health has been, and probably remains, one of those unpopular causes. But the best way to create this space is for researchers to engage with the public, people affected by mental health problems, health care professionals and policy makers. To educate them about the evidence. To respond to their concerns and challenge their preconceptions. To excite them about possibilities they hadn’t even considered. We know that many researchers are already doing this. 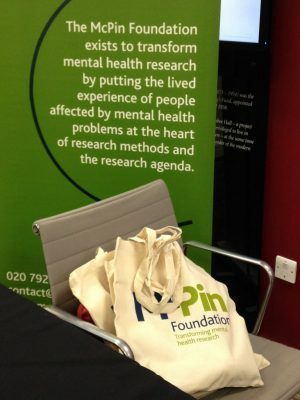 In many ways mental health research is at the cutting edge of Public and Patient Involvement (PPI). We also know from our own work that it isn’t easy. We would not pretend to have all the answers. Much more experimentation and debate is needed. And ultimately effective PPI it is not the only challenge mental health research faces. So we welcome any efforts to improve the transparency of research funding; to improve the rigour and accountability of the funding processes; and to understand better the impact it is having. But we must always remember that policy is about choices. We should be guided both by the evidence and our values. And we must be as inclusive and transparent as possible about both. People with mental health problems have an important contribution to make to each side of the equation. We therefore gave a cautious welcome to most of the manifesto set out in the Lancet, but it was a ‘yes, and’. ‘Yes, and’ we also need to ensure we put the people affected by mental health problems at the heart of decision making.